Now this is my kind of wine tasting. I recently joined in a Twitter wine tasting, hosted by the Wine Society and I didn’t have to move from my sofa. 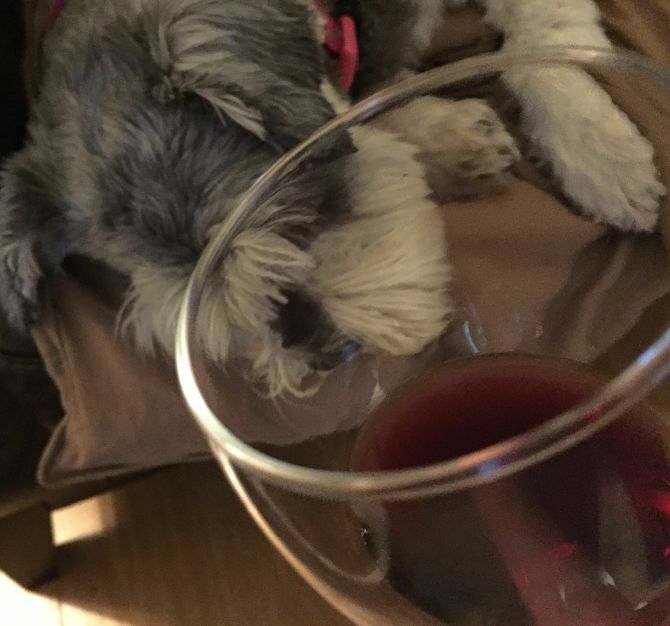 Millie the schnauzer slept right through it (well, it was past her doggie bedtime). On the evening I joined in, the society had selected a couple of wines from its Chilean range – Concha y Toro Corte Ignacio Riesling 2015 (£8.50, or save £19 with a case of 12 at £83) and Torres Reserva del Pueblo Pais 2014 (£7.25). We kicked off with the riesling and wow what a lovely wine; it won 80 per cent of the vote at the end of our Twitter tasting. Ah, I’m nothing if not a wordsmith. Over to the pais, a grape which originated in Spain, but was wiped out from there by phylloxera in the mid-1800s. Fortunately it had already been planted elsewhere in the world by emigrants, including Spanish conquistadors in Chile and western Argentina. A nose-dip from me and I immediately picked up on “fresh jam still warm in the pan”. In a tweet, the Wine Society explained that the wine was like that because it is made using the same technique as beaujolais (carbonic maceration) which produces really fruity wines. There was also a fizzle, as the wine was bottled with a little natural C02 for a slight spritz to retain freshness. Now to fully take part in a tasting like this I recommend you need the wines to share all the sensations. However, I’ll say this – and I’ve said it before – Twitter is a great resource to learn about wine. You may not feel like tweeting; but just by setting up a Twitter account and following other Twitter users you can learn so much. By running a basic search on hashtags such as #wine or #winelover you’ll find lots of people sharing ideas and recommending wines. For more details on the monthly #TWStaste sessions then seek out @TheWineSociety on Twitter.